First Sentence: "Casey strolled toward her best friends, Mike and Jack, who were standing near the stern of the boat." Description: Dinosaurs, abduction, and a hidden civilization were never part of Casey Smith’s vacation plans. That is, until a freak storm tossed her and two best friends, Mike and Jack, out to sea. When they wash up on what they presume to be a mysterious tropical island...they soon discover that being lost...is the least of their troubles. In a jungle that teems with impossible creatures, UFOs, and a hidden civilization, the three friends need to team up to fight danger...without letting their emotions tear them apart. Can they find a way to survive the harsh jungle...and its deadly inhabitants? 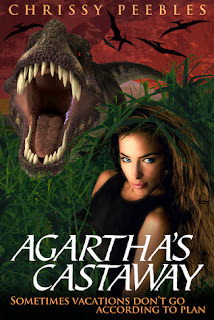 Agartha's Castaway by Chrissy Peebles is the story of three friends who become shipwrecked on a rather strange deserted island. I have to say that the characters are rather one-dimensional. They are given stereotypes in the beginning and stay within those lines throughout the book. I found this to be true with Mike and Jack in particular. Jack is the brains of the operation and Mike is the jock. Jack acts with caution, while Mike brazenly jumps into dangerous situations without a second thought. He is constantly getting the three of them into trouble. Hopefully, in the sequel, we will see them break away from this and develop into more dynamic characters. 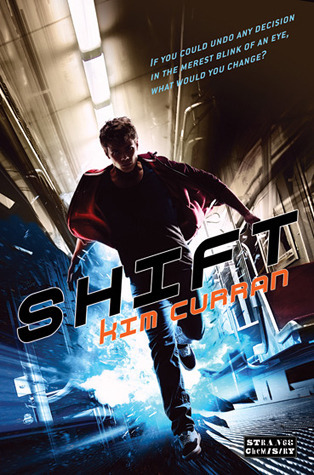 While the plotline was a little farfetched at times for my liking, it was both thrilling and exciting. Peebles also does an excellent job with the imagery. Everything is described in such lush, descriptive detail that you can’t help but create a vivid, beautiful image in your mind. I enjoyed Casey and her narrative - she’s feisty and determined. Although at times she did get under my skin. She’s was rather dense when it came to her interactions with Jack and Mike; mostly with Jack. Although, that can be attributed to what I believe is the target audience. If I had read this story as a preteen I probably wouldn’t have had any issues with Casey. I can also say that I truly enjoyed the unpredictable nature of the plot line. While the characters were a little stereotypical, the plot was nothing of the sort. Peebles packs so much excitement and entertainment into this book that it’s unreal. Honestly, it seems like every other page brings some sort of challenge for the three teenagers. I would definitely say that Agartha’s Castaway is plot/action driven, rather than character driven. I feel bad pinpointing and nitpicking Agartha’s Castaway, because I feel it is superbly written for a younger audience. It’s just that, as an older reader, I struggled with bits of it. Hopefully the sequel with have a bit more character development, then we will be treated to the best of both worlds. Peebles has already got the excitement, danger and action down. Jack smiled and held out a hand to help her up. Triumph flicked in his blue eyes as his dark, wild hair was tousled by the wind. "I don't believe in talking animals. This is definitely the work of aliens. Maybe they can help us phone home."